Redcar and Cleveland Borough Council has taken delivery of a new CCTV enforcement vehicle from Videalert, one of the UK’s leading suppliers of intelligent traffic enforcement and management solutions. The new Mobile Enforcement Vehicle (MEV) has an unattended operating capability and will be used to enforce school locations where illegal parking on the yellow ‘keep clears’ has been identified as putting children’s lives in danger. Videalert has supplied a white Renault Kadjar equipped with two roof-mounted ANPR cameras and two colour cameras to capture contextual video evidence. Used in conjunction with the latest video analytics, the system delivers the highest productivity at the lowest operating cost even in the highest density traffic environments. The on-board systems are controlled by the operator manning the vehicle using a dashboard-mounted touchscreen. All contravention evidence data is transferred to Videalert’s Digital Video Platform in the parking office at the end of each shift. The Videalert system automates the construction of video evidence packs which are reviewed by trained council operatives prior to sending confirmed offences to the back office processing system for the issuance of PCNs. Redcar and Cleveland’s new mobile enforcement vehicle is also equipped with a complete suite of Videalert software applications enabling it to be used for a wide range of traffic and parking management applications in the future as required. “In recent benchmarking trials, our MEVs equipped with four cameras have proved to deliver industry-leading capture rates whilst consistently outperforming vehicles from other suppliers. 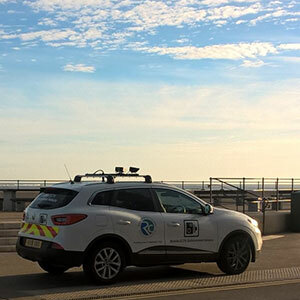 This new generation of multi-purpose MEVs will give councils greater flexibility in the enforcement of a wide range of moving traffic and parking contraventions,” added Tim Daniels, Sales and Marketing Director at Videalert.